Fender has used a couple of dimensions over the years for both string spacing and screw spacing on tremolos. Our illustration - which has been drawn to scale - will show you the differences between the various bridges, so you can be sure of getting the right fit. Just click the image above for the full-sized PDF! Also, be sure to check out our Callaham cross reference (click here) for more information! All Callaham blocks are made of 1018 cold-rolled steel like the vintage originals, which contributes to the sustain and harmonic content that has made these guitars legendary. 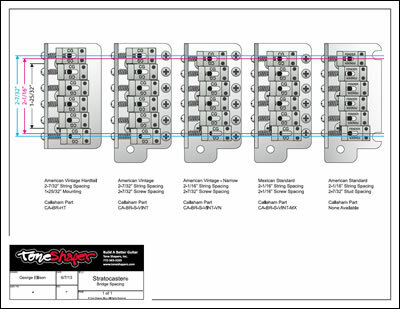 Replacing a block made of inferior materials (zinc, leaded steel, sintered steel) with one of Callaham's blocks will get you one step closer to those $50,000 originals. All have a precision-machined top surface that is free of paint to ensure solid metal-to-metal contact with the top plate, for optimal tone. And all Callaham blocks come with a precision-reamed Delrin insert in the arm hole, allowing the tremolo arm to fit snugly and be free of play, without requiring a spring in the hole, as Fender's threaded blocks do. This gives you the best tremolo feel available, and no worries about losing springs (in case you're unaware of it, new Stratocasters ship with a round label over the hole in the tremolo - the label's purpose is to prevent the tiny spring from falling out and being lost). 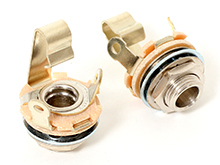 The Delrin bushing is the feature that defines the Enhanced Vintage design (see next section below). 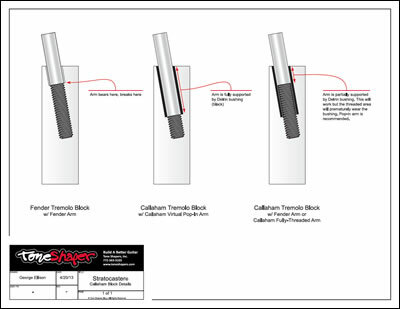 Since Fender's threaded arms (or any arm with a 10-32 thread, for that matter) can be used with Callaham's blocks, you are not forced to buy a Callaham arm for use with your Callaham block, but it is recommended (see illustration in the next section below to see why). However, because Fender's American Deluxe guitars come with a snap-in arm, the Fender arm is incompatible with Callaham's Deluxe block. For this reason, when you purchase a Deluxe block, a Callaham arm is included. 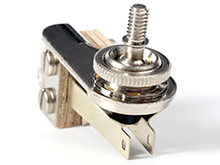 Callaham's blocks make use of their Enhanced Vintage design, which utilizes a Delrin bushing in the arm hole for the arm to bear against (see illustration above). With traditional threaded block designs, when you use the arm you create forces that are concentrated right at the threaded portion of the arm - its weakest point. This is where arms typically break. Callaham's solution of leaving this bearing area of the arm unthreaded - coupled with the Delrin bushing that the arm bears against - virtually eliminates broken arms. 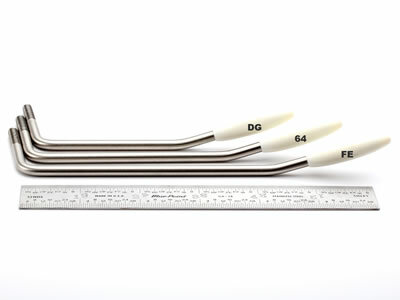 Available in three lengths, Callaham's pop-in arm has a reduced threaded length as compared to traditional arms (see photo above) It is therefore unthreaded where it bears against the Delrin bushing, and this allows you to push it in, then spin it once or twice to engage a thread or two. The threads are there simply to keep the user from inadvertently pulling the arm out during use. So the arm is virtually a pop-in design (though engaging a couple of threads is suggested), hence the name. Made of solid stainless steel. Unplated, so you can bend the arm to your liking without fear that plating will begin to flake off. Note: Callaham's pop-in arms are suitable for use only with Callaham Enhanced Vintage blocks (all Callaham blocks are Enhanced Vintage unless special-ordered without this feature). 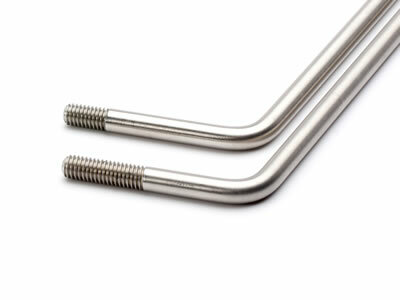 If you have a traditional threaded block, then Callaham's fully-threaded arms are what you'll want. Callaham's saddles are designed from original pre-CBS saddles, with some improvements. Callaham has slightly lengthened the string slot as compared to pre-CBS saddles, so that the strings will not bind and bend against a sharp edge before going over the saddles, which reduces string breakage. Fender's current production saddles have their slots moved too far to the rear, causing string breakage and loss of downward pressure on the saddle, hurting both sustain and tone. Callaham's saddles, like pre-CBS saddles, have threads running the entire height of the front skirt of the saddle. Fender's current production saddles have fewer threads and a shorter front skirt. Consequently, the Callaham height-adjustment screws are held more securely, with more thread contact, maintaining sustain and saddle stability. There is a commonly-held belief that pre-CBS saddles were hardened, but Callaham states that every pre-CBS saddle they've tested measures on average only 50 Rockwell B. Callaham has chosen steel with a hardness of 95-98 Rockwell B for their saddles. Further, the steel work-hardens in the making of the saddle and is well over 115 Rockwell B where the string crosses. 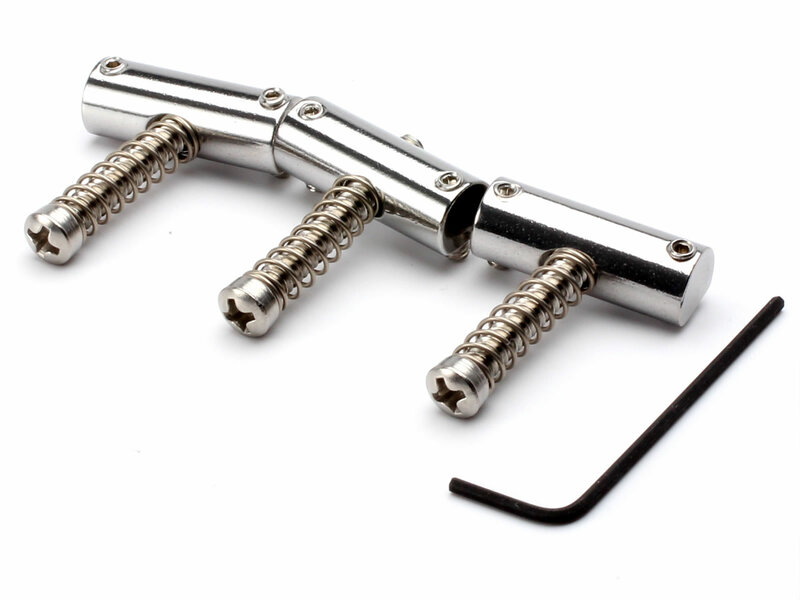 Strat saddle sets will ship with different length height-adjustment screws, and different length springs on the intonation screws. You'll want to make sure you get them in the right place. The E saddles have shorter height-adjustment screws, as shown in the photo above (top right). You can see that the A/D/G/B saddles have taller screws. The bottom photo shows the two spring lengths. The low E and A saddles have the shorter springs, while the other four saddles have longer springs. 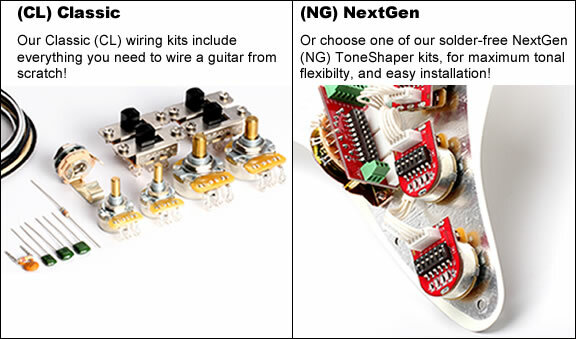 Tone, or timbre, is all about overtones that are combined with the fundamental. The choice of bridge material is critical for the simple reason that every note played is influenced by the bridge. 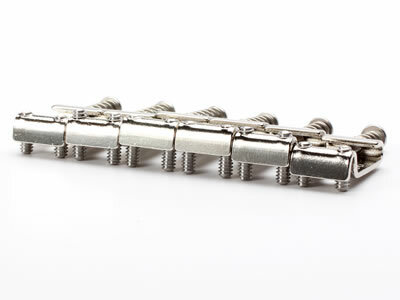 The ABR-1 bridge introduced in 1954 was cast from zinc because it was cheap to produce and evidently, nobody at Gibson thought that it made any difference. Aftermarket bridges have copied the use of zinc without any thought given to how this could be improved. In the '70s, several years after they had purchased Fender, CBS threw out Leo's steel Strat bridge and changed to the one-piece cast zinc (zamak) bridge to cut costs. 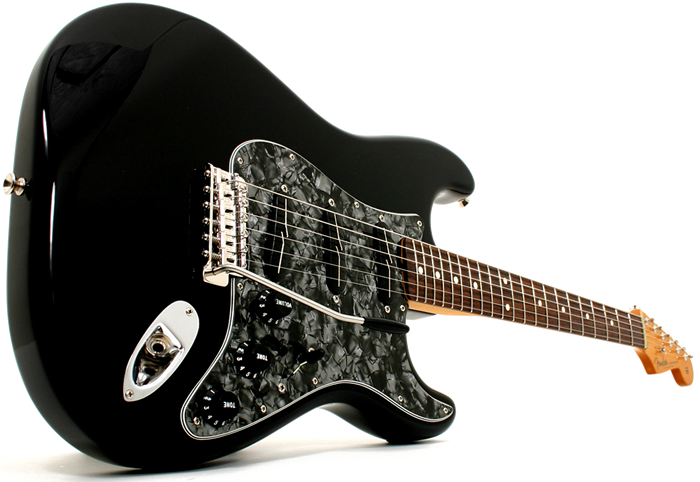 The result was arguably the worst sounding Strats produced by Fender. Zinc is simply not the right material to use for bridges. Brass has been used because it has "more mass", titanium and aluminum because they have "less mass", but mass is not the property of the bridge material that matters. However, it is easy to measure for those who do not understand vibrations. No material transmits the energy delivered from the string while maintaining a full musical frequency response better than steel. Callaham's ABR-1 is perhaps the most significant improvement you can make to a Gibson-styled instrument. 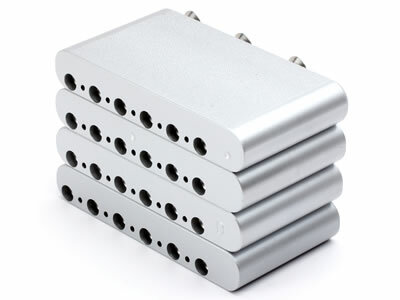 The body is nickel plated to mil-spec standards in order to maintain all critical dimensions. The intonation screws, mounting studs, and thumb wheels are stainless steel. The quality control observed during production and plating allows the intonation screws to be a press fit into the bridge body. 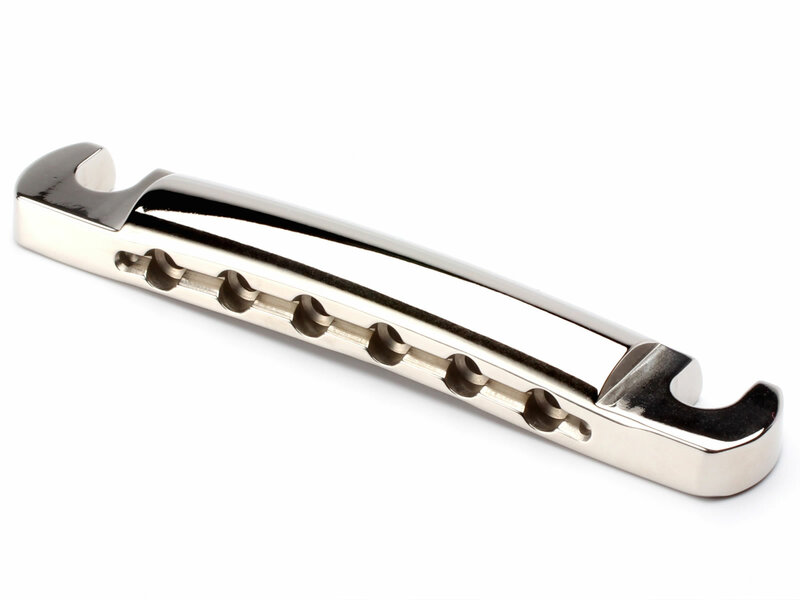 The saddles are machined from the same brass bar stock that Callaham uses in their Tele saddles, and are nickel plated. 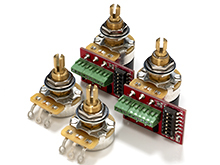 They are direct replacements for both Callaham ABR-1 and Gibson ABR-1 bridges. What you will hear with the change to steel is a low end that is tight but full, with proper balance between the wound and the plain strings. The plain strings will be full without the harsh high-end spike. 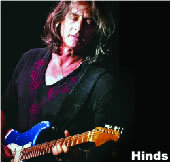 Sustain is improved substantially, facilitating vibrato. If you've ever fallen victim to a stock bridge collapsing from string pressure, then this will be a thing of the past - you will not collapse Callaham's steel bridge. The rigidity of the steel will allow the use of heavy string gauges, while transmitting the strings' energy far better than zinc, aluminum, or brass. The bridge body has set screws to lock it to the posts, for optimal energy transfer. This also prevents the bridge from falling off of the guitar during string changes. The saddles on these bridges are un-notched, and should be notched by a pro. 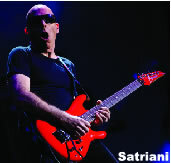 Most guitars do not have optimal string spacing and pole alignment when the notch is in the center of the saddle. 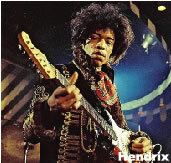 Therefore it is best to notch the saddles for each individual guitar. In the mid-1980s Gibson started equipping the majority of their models with the Nashville bridge. This bridge was marketed as an improvement, but was in fact a step backward. 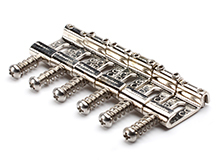 The honeycombed zinc casting is weak and the extra width of the bridge causes problems with obtaining the correct string angle back to the tailpiece. 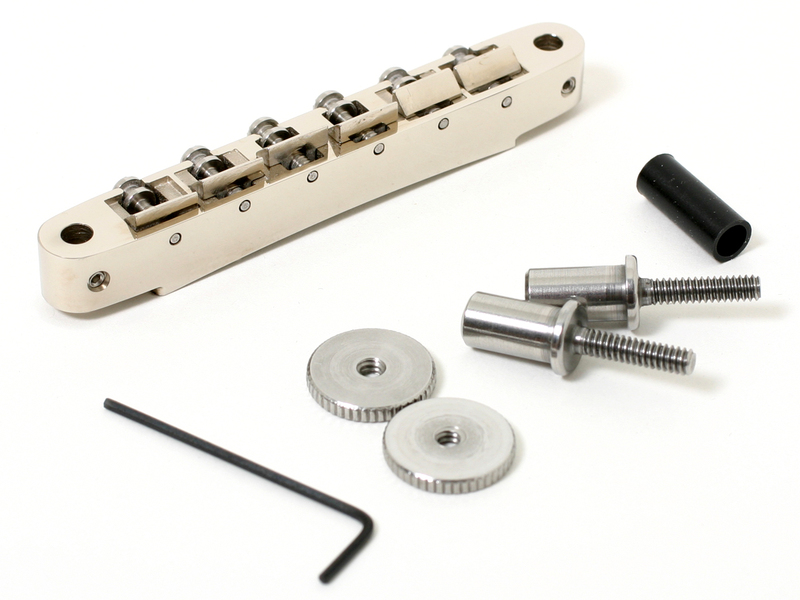 Callaham's Nashville conversion kit allows the seamless replacement of a Nashville bridge with their ABR-1 bridge. 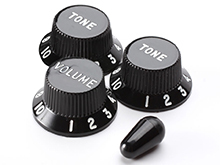 With this change you not only gain the undeniable tonal improvements of their ABR-1, but also the vintage look, and without any modification to the instrument. The Nashville studs can be used to replace many other bridges besides those from Gibson. The stud is designed to fit a .278" diameter hole that is at least 1/2" deep. When installing Nashville studs, the 6-32 threaded section must be protected. Pressing or tapping directly on that section can bend it. Callaham includes a tube that should be used to drive the stud into place. Regarding looks, today's ABR-1 bridges have none of the hand-working and tapering of the ends of the bridges, as compared to those from the mid/late '50s. Callaham specifically machines the ends of their ABR-1 to a taper, and through the course of hand-polishing recreates the look of the late '50s bridge bodies. The stainless steel thumb wheels are thinner as compared to today's production, like the '50s models. 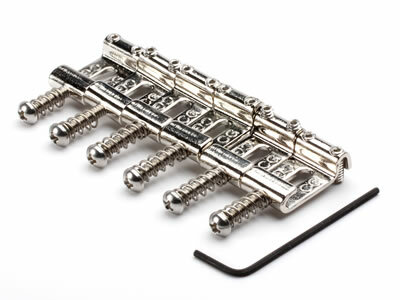 Machined from the same alloy as their ABR-1 bridge, Callaham's machined-steel stop tailpiece yields the additional definition and frequency response that so many Gibson-style guitars need. 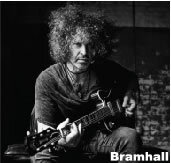 The tonal change is akin to going from a dead set of strings to a new set of strings. Coupled with their steel ABR-1 bridge, the instrument starts to take on piano-like qualities. The notes are absolutely solid and the feel of the response is highly touch sensitive. The need to re-tweak your amp settings is not out of the question - you should be able to flatten out the response so that switching from bridge to neck is more balanced. Callaham states that they are always amused by the claims that aluminum tailpieces add sustain, as aluminum will NEVER come close to the sustain produced by their steel tailpiece. 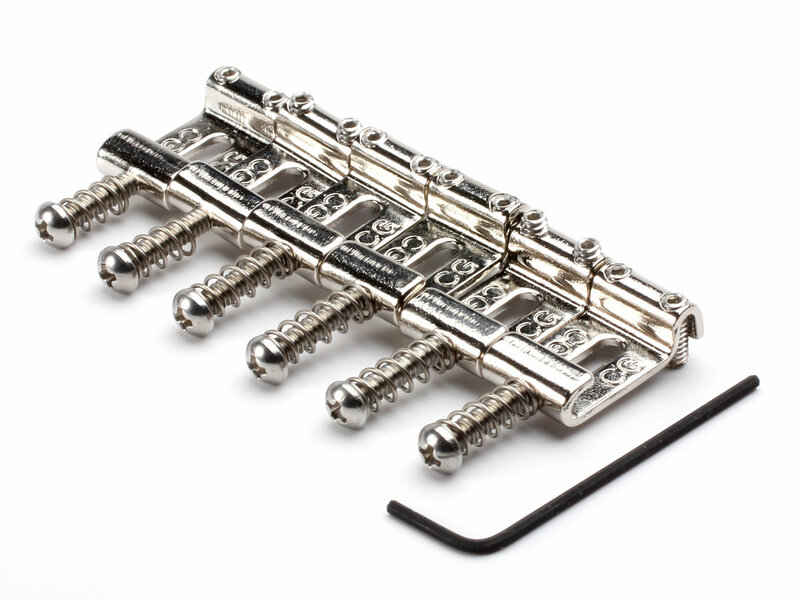 You can use your existing studs or whatever studs you want (studs are not included with this tailpiece). Callaham recommends one-piece studs. 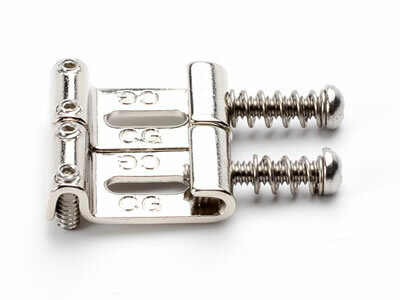 Their development of the tailpiece included testing with stock Gibson studs, aftermarket studs, and Callaham's own one-piece studs, and they found that with the steel tailpiece the differences between the various studs was minimal (they do suggest the studs be tightened down firmly against the guitar). 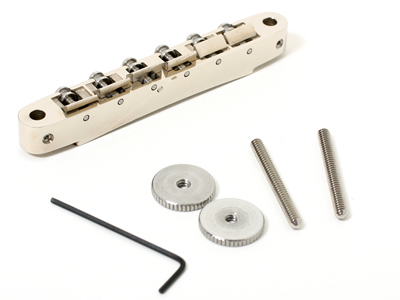 Callaham does offer custom one-piece studs, but cautions that changing over to their studs is not easy and should be performed only by experienced repairpersons. If you are doing new construction and have an interest in their studs, you'll need to contact them directly via email. As with all of their products, Callaham does not believe in repeating the mistakes of the past. The original '50s tailpieces were made from aluminum because it was easy to cast and it was cheap. Producing a tailpiece from steel, and machining it (rather than casting it) is much more difficult in every area of the manufacturing process. But steel is the best material if you are concerned with tone. The myths that have been propagated over the years regarding weight as being the predominately-important property are completely false, and not based in science. 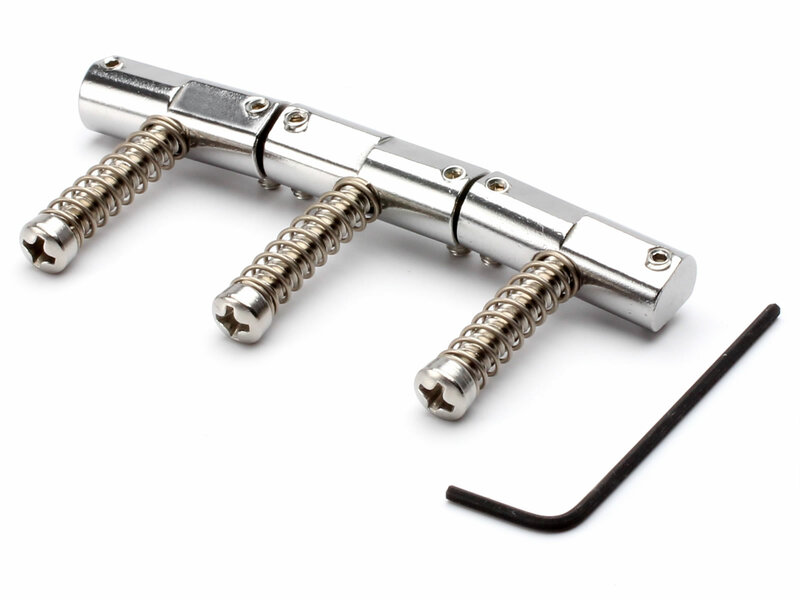 The same principles that apply to a trem block also apply to a tailpiece. Callaham was concerned with maintaining the vintage look. With the help of customers that owned genuine '50s tailpieces, Callaham used originals as guides. After machining, the tailpiece is hand-sanded and polished to recreate the same look and feel as originals. They do not purposely try to recreate the flaws and lack of craftsmanship that so many of the originals exhibit. Having said that, they don't try to make them look perfect and exact from part to part. The parts all have their own individuality depending on which one of Callaham's staff did the handwork. They are only available in nickel plating, and unlike other aftermarket parts where the plating is piled on - producing a cheap looking part - their plating is done with care, yielding a graceful finish. Absolutely beautifully made, and highly recommended. This is a direct replacement for American Standard or American Deluxe guitars, for those players wanting a vintage 3-saddle bridge sound. 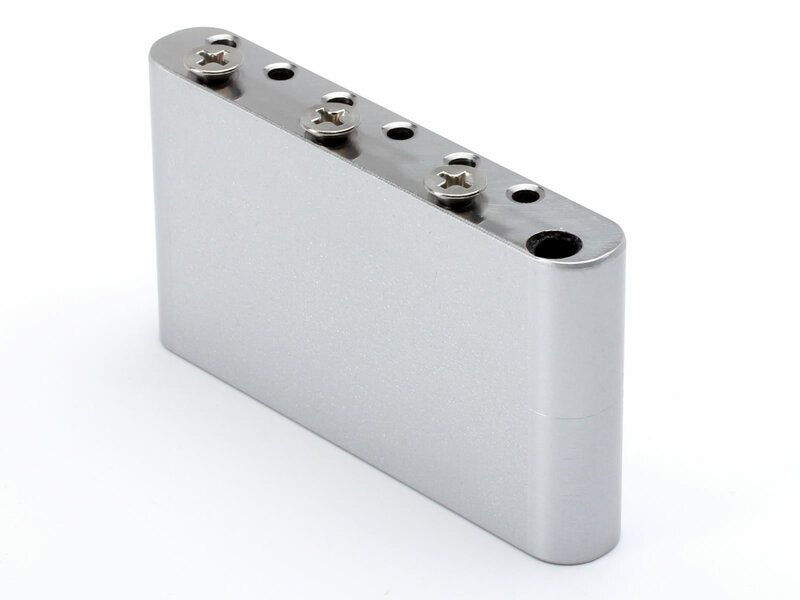 Made of high-strength steel, the bridge plate has a lower, cleaner profile than the stock plate, allowing for better muting. 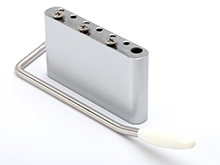 The steel plate will dramatically increase sustain, volume, response time, and string balance of an American Standard guitar compared to the stock brass plate. String holes have a full radius edge like the stock plate. The change is as significant as changing your pickups. Please note that American Standard and Vintage plates are not interchangeable. 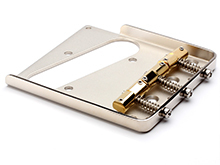 The factory Fender bridge is a chromed brass plate with cast stainless saddles, and this combination will not yield that great Tele tone that is in most peoples' ears and minds. It is important to note that a vintage bridge will not fit on an American Standard. The hole pattern and locations are completely different. Callaham is sometimes asked to make American Standard bridges with sides, but they don't offer this. The sides on the original bridge were there only as a mounting surface for the cover, which nobody uses. 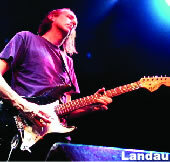 Callaham notes that they are aware of no guitar that puts an obstruction in the way of the player's picking with the exception of a vintage Tele, and they consider the American Standard plate to be an improvement. Their plate matches the factory plate dimensionally so that a proper setup is easily achieved, providing for a quick, drop-in installation. It is extremely important that an instrument intonate correctly, and Callaham guarantees this with their saddles. It's equally important that the strings don't touch the height adjustment screws, which can be a problem on Fender bridges and their copies. Callaham ensures that this won't be a problem with their saddles by using smaller-diameter set screws, and moving them out closer to the ends of the saddles. Additionally, they are the only manufacturer that buffs every saddle, by hand, to a high luster. This allows the string to rest on a perfectly smooth surface. They also install height-adjustment screws of the correct length, preventing the screws from protruding up above the saddles and causing discomfort to the picking hand. Callaham's saddles are available in either brass or stainless steel. The brass has a warmer tone and the steel has more punch and sustain. Two methods of compensation (intonation adjustment) are available: original "slant" compensation, or "enhanced vintage" compensation. The enhanced vintage saddles were introduced for those who want to maintain a complete vintage look and have perfect intonation. They offer the same benefits of Callaham's original slant-compensated saddles, but with the 90° (right-angle) look of original '50s saddles. A problem with some saddles that are currently available is that they touch each other firmly. Some manufacturers state this as having been an intended design consideration, but their logic is flawed, since this design has the consequence of allowing sympathetic vibrations from one string to influence the vibrations of another string, causing dissonant overtones that can drive players crazy (especially at high volume). It's this type of vibration that occurs on acoustic guitars, with their single saddle, and that causes beating tones when certain chords are played, and phasing problems on other chords. Callaham purposely avoids firm contact between their saddles for this reason. When the Telecaster (Broadcaster) was first designed and built in 1950, the bridge system was crude at best. It served the purpose of positioning the strings, but allowed for only coarse intonation adjustment. Callaham's bridge maintains the traditional look, while using superior materials and design that deliver a wider frequency response, increased sustain, and perfect intonation. 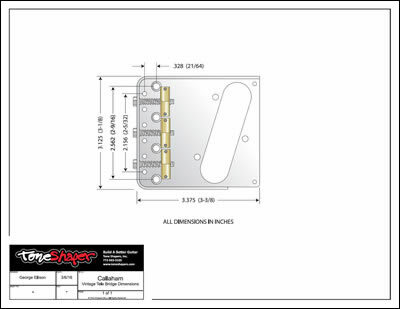 The current production Fender bridge is made from .045" - .050" 1010 hot-rolled steel in a deep-drawn process. This bridge is used on all reissues and Custom Shop models. The steel used must be very soft - and limited in thickness - to allow it to fold and bend in the corners. The process also creates tremendous internal stress that bows the plate such that it doesn't sit flat; consequently it's not in full contact with the body surface, which can cause unwanted feedback in some guitars. Aesthetically, the plate shows unattractive scratches from the die, which was of no concern when it was designed since it was originally intended to be covered. Finally, the saddles cannot be adjusted for perfect intonation, and their set screws interfere with the strings by being in the strings' paths. Callaham's bridge is made from .075" cold-rolled carbon steel using a five-stage bending process, and then stress-relieved so that the plate will sit absolutely flat, providing maximum sustain and vibration transfer. Stiffness and flatness are paramount in this design, and would not be obtained using .050" material and stamping processes. There is no chance of unwanted feedback with this bridge, and Callaham has chosen cold-rolled carbon steel for tonal reasons. 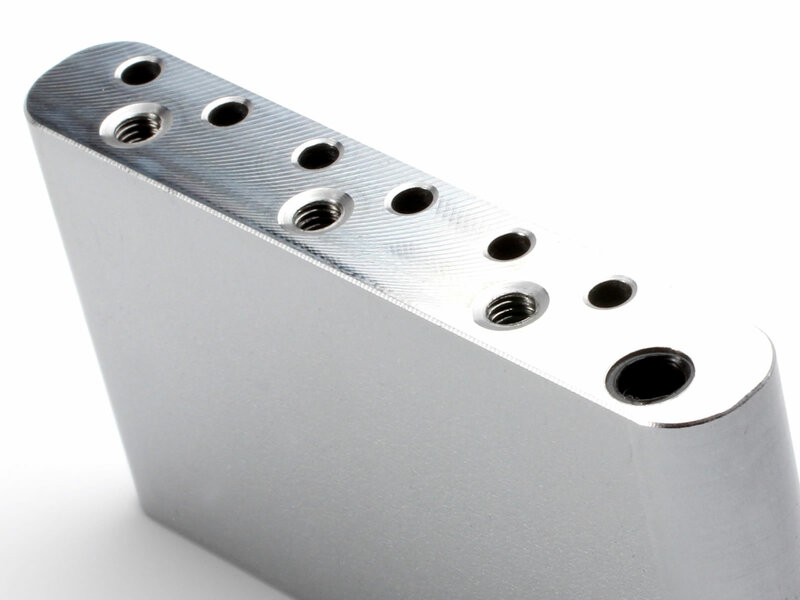 Hot-rolled steel as used in the Fender bridge is soft, and also contains pits and voids that require heavy chrome plating (chromed plates first have to be copper-plated to fill the voids, followed by nickel and then chrome, to obtain an acceptable-looking part that hides the material flaws). Using stainless steel would eliminate the need for plating - it would require only buffing - but the sound is way too bright and thin, making it unacceptable. The cold-rolled material as used by Callaham is extremely uniform and allows for direct buffing. Callaham applies a nickel plating directly to the steel strictly as a rust preventative. The result is a warm finish, which works beautifully for those building a repro guitar. 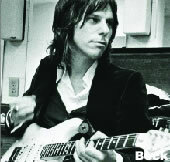 Making the guitar easy to play is also important. The sides of Callaham's bridge are lowered to allow for easy palm muting (Leo Fender wasn't a guitar player, and one of his most glaring design flaws - on both the Tele and Strat - was designing bridges with covers that prevent palm muting). The front lip of the treble side is removed entirely to allow access for finger picking - a trick done for years by great Tele players. The two small screw holes on the front corners of the plate may be used at the player's discretion. 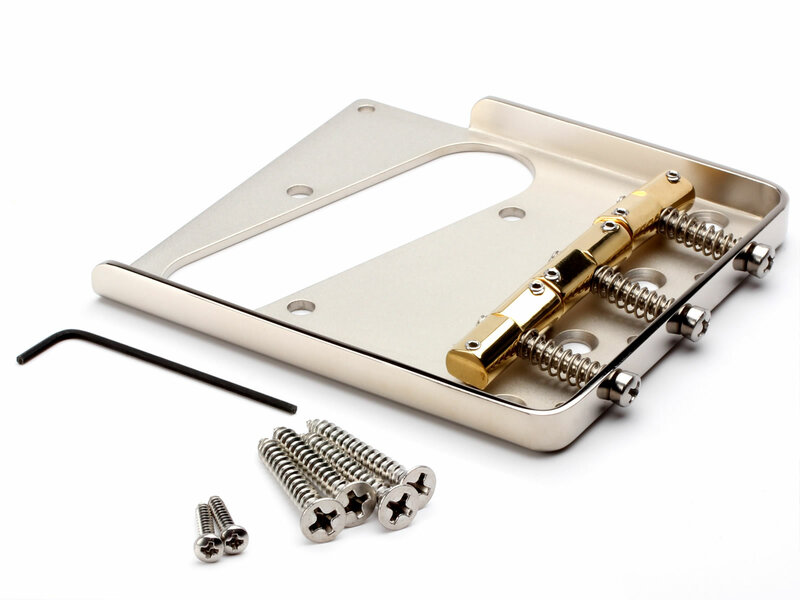 Because of the rigidity of the plate, using the screws will provide only a modest increase in sustain (they would make a more noticeable difference on less rigid bridges). Screws are included with the bridge for those wanting the maximum available sustain. 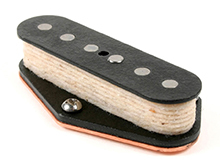 The Standard Telecaster (Mexico) uses a cheapy 6-saddle bridge that is the size and shape of the American Standard bridge. 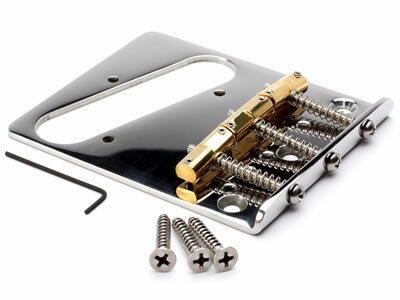 But it uses the vintage American 4-screw mounting - with string holes behind the mounting screws - whereas the American Standard Tele bridge uses a 3-screw mounting, with the string holes in front of the mounting screws). If you want to replace the bridge on a Standard Tele (Mexican), then you need Callaham's vintage bridge, not their American Standard bridge. Note that the vintage bridge will not completely cover the area on the face of the guitar that was originally covered by the Mexican bridge, which is about 1/2" longer than the vintage bridge (click the image above for a PDF that shows the difference in detail). 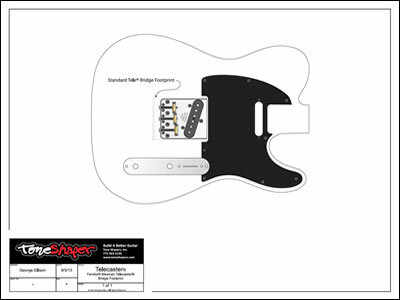 We have first-hand experience with this replacement, as we at Tone Shapers have made this change to literally dozens of Standard Teles, and our experience is that the area of the top that is revealed by the bridge change is seldom more than slightly imprinted by the original bridge, and sometimes not at all, so there is usually only the most mildly-discernible visual consequence from making this change. But the bridge screws right on: The screw holes and the six string holes line right up and the guitar intonates perfectly. Very nice upgrade!